The trade group representing payday lenders has asked a court for an injunction to block implementation of the Consumer Financial Protection Bureau's (CFPB) small dollar loan rule. The rule requires payday lenders to, among other things, determine whether a borrower has the means to repay the loan -- a standard to which traditional lenders are held. The Community Financial Services Association of America (CFSA) says the rule, drafted by the Obama administration, is causing payday lenders to lay off employees and close stores. In a motion filed in U.S. District Court in Austin, Texas, CFSA says the yet-to-be-implemented rule has already caused "irreparable harm" to the payday loan industry. CFSA cites research from CFPB that it says shows the rule would reduce reduce the volume of payday loans by up to 93 percent. For many consumer advocates, that would be just fine. Many consumer groups have criticized payday loans for allegedly trapping borrowers in a cycle of high-interest debt. That's because of the way the loans are structured. While a credit card loan is open-ended, with the borrower paying until the balance is paid off, a payday loan is due in two weeks. If the borrower doesn't have the money by then -- and critics charge few do -- they take out another loan, paying another fee. 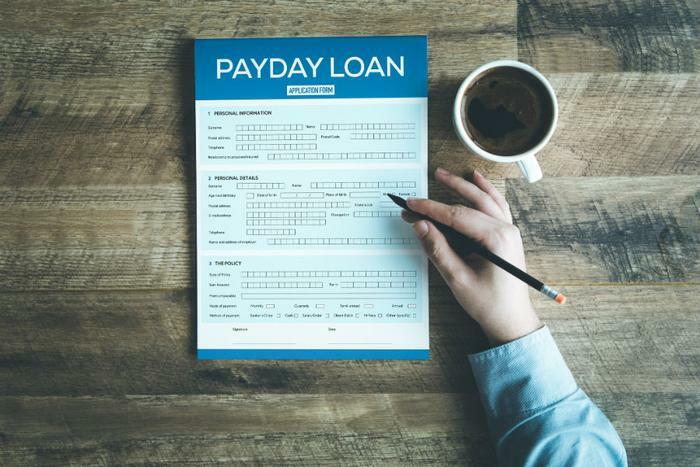 The CFPB small dollar loan rule is scheduled to take effect next year, but a larger threat to payday lenders may come in the form of competing products from traditional banks. Last week, U.S. Bankrolled out its Simple Loan, which charges a similar fee for a small dollar loan but gives the borrower three months, instead of two weeks, to pay it back. While the move has been cheered by many consumer advocates, the Center for Responsible Lending (CRL) says it still isn't a safe payday loan alternative. The group says the cost of the Simple Loan may be lower than a payday loan's 400 percent APR, but it's still 70 percent or more. "We reject the notion that bank loans as high as 70 to 88 percent APR will drive out higher-priced credit by non-banks,” said Rebecca Borné, CRL's senior policy counsel. Instead, she is urging states to impose interest rate caps that make interest rates over 36 percent APR illegal. She said 31 states already have interest rate caps that would make U.S. Banks Simple Loan illegal if it were made by a payday lender.